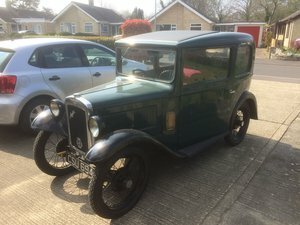 It was during 1932 that the reputation of the Austin Seven was so great, that over half of the new car registrations in the 8 hp class were for baby Austins. 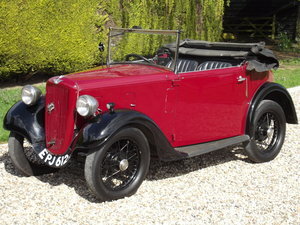 This was due to the continuing battle to keep at the front of the small car field, and the Austin Company had a continuous programme of development and improvement, some of which may have modenised the car and made it more 'user friendly' but at the same time lost none of the charm of the earlier models. January 1931 saw the introduction of the RM series cars, virtually identical to the earlier vintage models with doors cut away to fit the rear wings, taller chromium plated radiator, and with slightly longer 'short' scuttle. 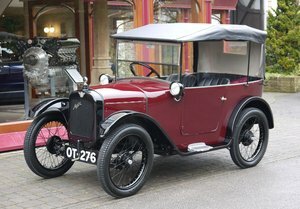 These cars were still built on the short wheelbase chassis, and were much smaller and narrower than the later RN saloons. The steel panelled body was built as before on an ash frame, and is easily identifiable by the two seams at the back, and early type 'light' wings were fitted. This car represents to many a peak in the design evolution of the Seven, modern enough to have the larger coupled brakes and updated steering and electrics, but still retaining the vintage characteristics and styling. VO 7111 was first registered on 1st January 1932, and spent much of its early life in Nottinghamshire. 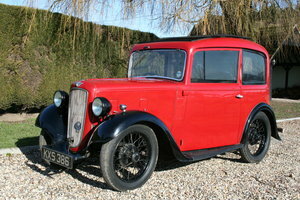 The Austin has had some long term keepers, with the current vendor owning the car for the last 16 years. Recently subject of a complete retrim, including headlining, and a very shiny respray in period blue, with the roof covering being replaced, petrol tank refurbished, flushed radiator and new tyres. The results are truly excellent. 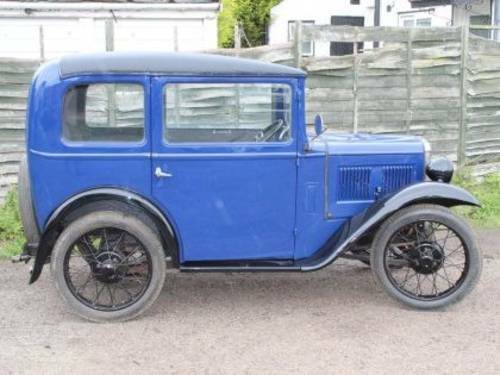 New projects now bring this Austin to the market, with V5C, old buff log book and small history file.